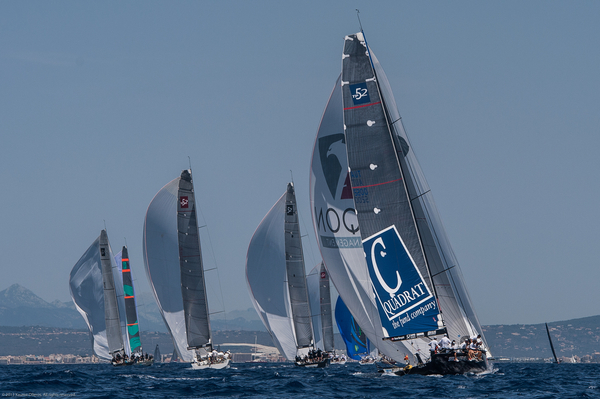 By winning six races from a full programme of 11 contests on the Bay of Palma, Quantum Racing has taken out the 32nd Copa del Rey for the first time in the 52 Super Series. 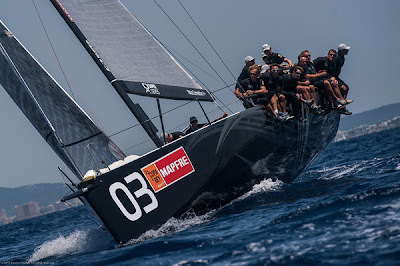 The American flagged team, skippered by Ed Baird, enjoyed the sparkling sea breeze which peaked at 20 knots at times during the last race to deliver the final race victory. 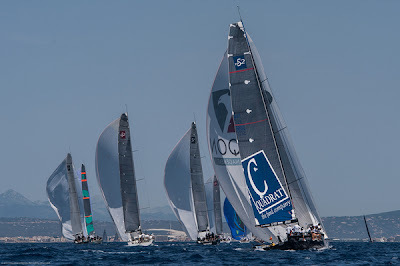 This is their third consecutive 52 Super Series regatta of 2013 thanks to triumphs in Barcelona and Ibiza. 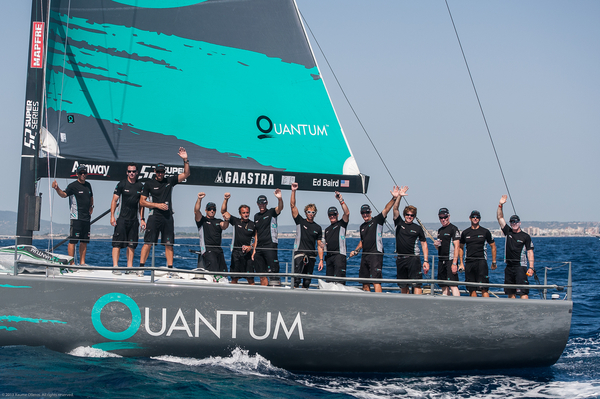 Niklas Zennström’s Rán Racing started the week with three back-to-back wins before Quantum Racing really hit their stride by notching up five race victories in succession and building a momentum that Rán Racing could not stop. 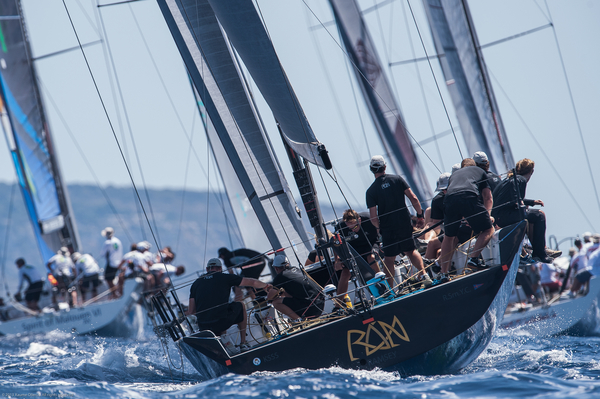 Rán came close on Friday but Doug DeVos’ team was the dominant team today, the last day of the regatta, racking up a 2,1 that gave them an overall margin of 9.5pts ahead of Zennström’s world championship winners. “At the end of this regatta we are pretty happy with second. We wanted to win regatta, we gave it a shot and we are sailing the boat well but Quantum Racing are just sailing better,” Zennström said. For the Quantum Racing team, formed in 2008, it is the first time they have won Spain’s biggest and most prestigious regatta. Last year they were on course but a mechanical breakdown ruined their chances. 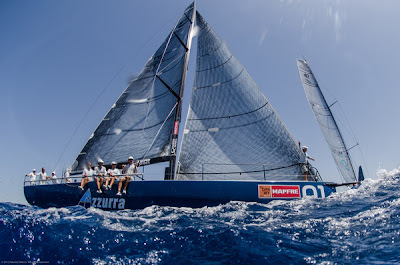 “After a long time of waiting I now have got two King's cups in a row. I am very happy. Hopefully I won’t to stop this winning streak. We are the best professional crew in the world and I'm very happy in this project. 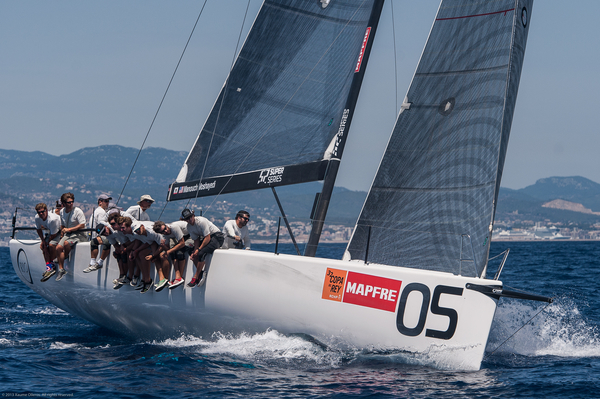 Today we sailed very well and we had a great second race today,” Calafat said. 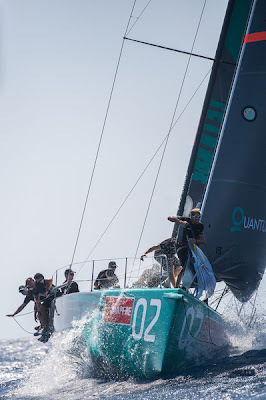 Quantum Racing partnered excellent boatspeed with great starting to achieve their success around a course area which in the end lived up to its reputation that strongly favoured the left side of the arena. 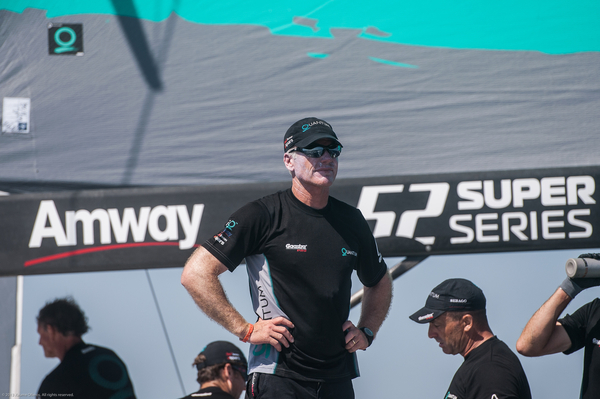 Tactician Terry Hutchinson paid tribute to the entire crew, noting Calafat’s contribution on his home waters and Ed Baird’s starts. 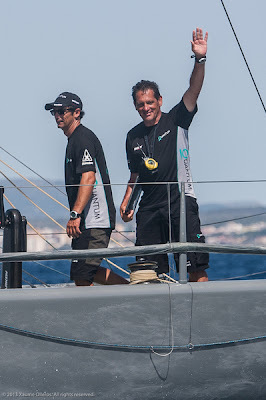 “Jordi is on his home waters and so you sail confidently when you have someone of his talents on board. That was great and we got on a bit of roll in the middle of the week when Ed was getting some cracker starts and the boat is fast,” Hutchinson said. The 2012 52 Super Series champions Azzurra were disappointed with their third place overall, after suffering from too many mistakes and mishaps to really challenge the top two boats. 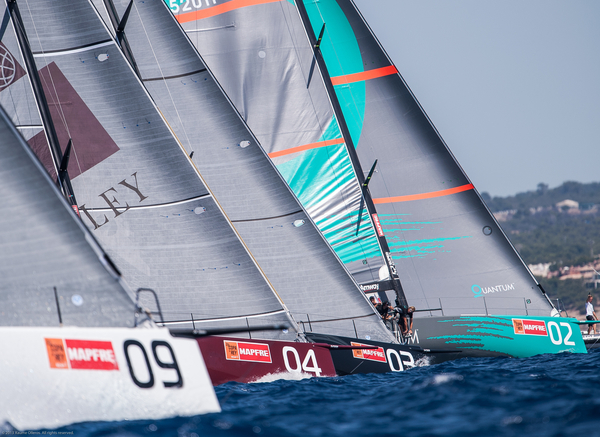 They had to make penalty turns again off the first start line today and so finished with a sixth. 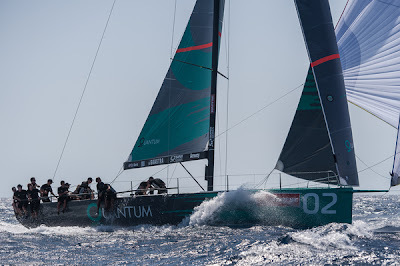 “It is hard to speak about things at the moment because it hurts and there is a lot of emotion, but Quantum Racing did so well and did not give any opportunity to us. 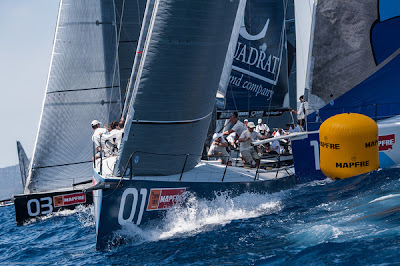 But the reality is we did not sail well. We made it easy for them. We did not give them the chance to fight. We had some problems which we need to analyse. 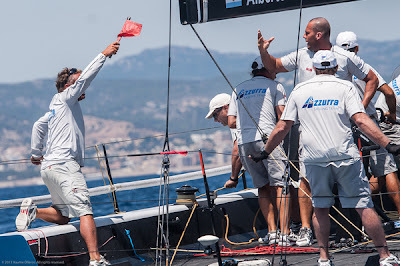 We had some problems and we need to fix them before Porto Cervo. 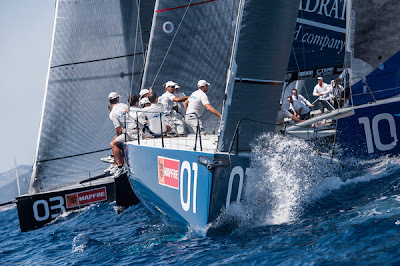 That is our yacht club and we need to be able to show something different. It is tough to analyse now, very, very tough. 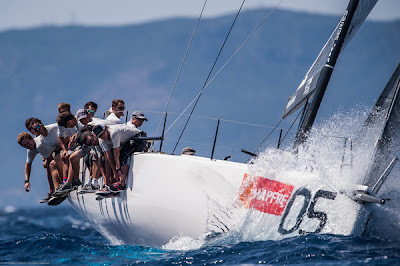 But that is sailing,” said tactician Vasco Vascotto. Not far away from their first ever podium was Manouch Moshayedi’s Rio which had to settle for fourth position overall, their best placing yet. 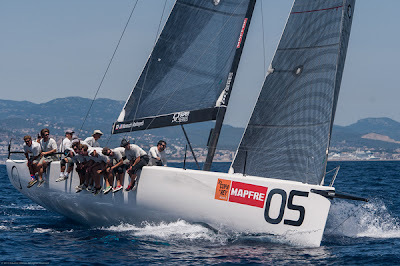 After enjoying a final race scrap with Ergin Imre’s Provezza in the final race in boisterous conditions, Rio retained their much improve level of consistency.